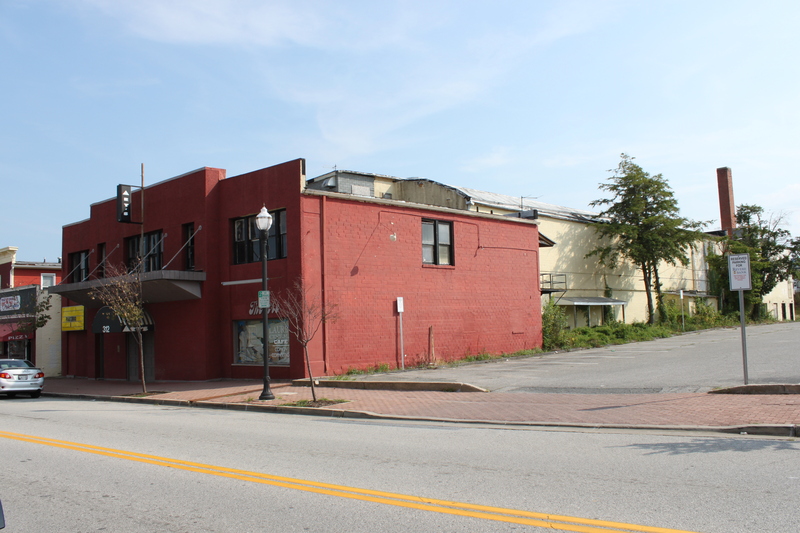 The old red building at 312 Main Street has sat empty and derelict for a few years now, and according to the City of Laurel—its new owners—it’s too far gone to be salvaged. 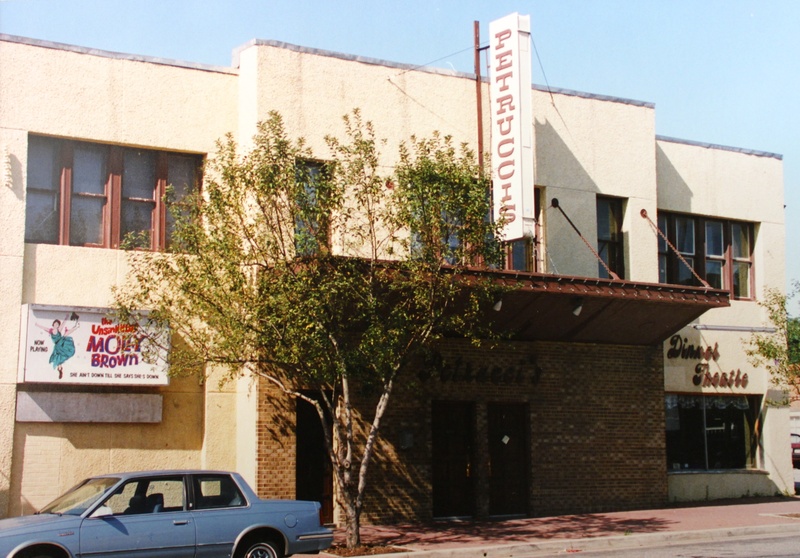 After no other buyers came forward, The city bought the building for $250,000 and plans to demolish it and resell the property. According to multiple sources, the interior has a festering mold problem that’s at least as problematic as its many structural issues, and would require in excess of $2 million to save it. And given its recent history, there’s little hope of resurrecting it. 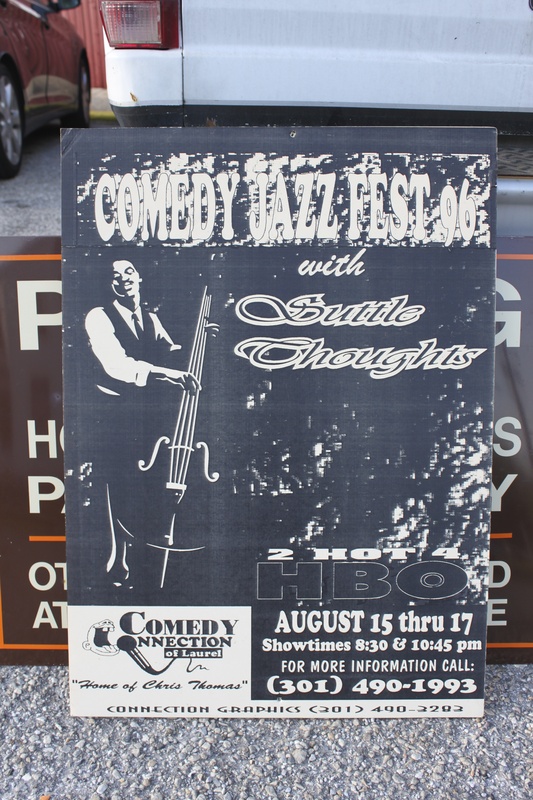 The multiple comedy clubs that inhabited it since the Petrucci family sold its popular Dinner Theatre in 1992 never lived up to expectations, despite drawing some high-profile names in the early years—including Dave Chappelle and Richard Jeni. 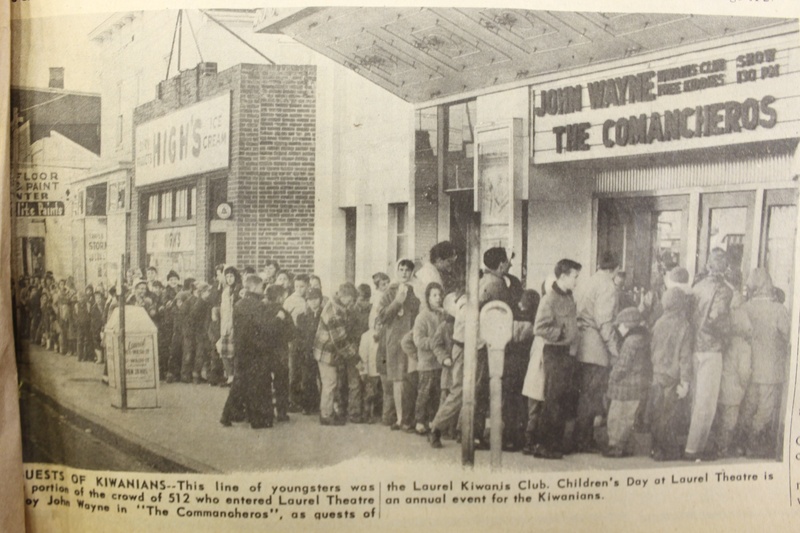 Before I get into that, though, let’s take a look at the deeper history of this Main Street landmark. 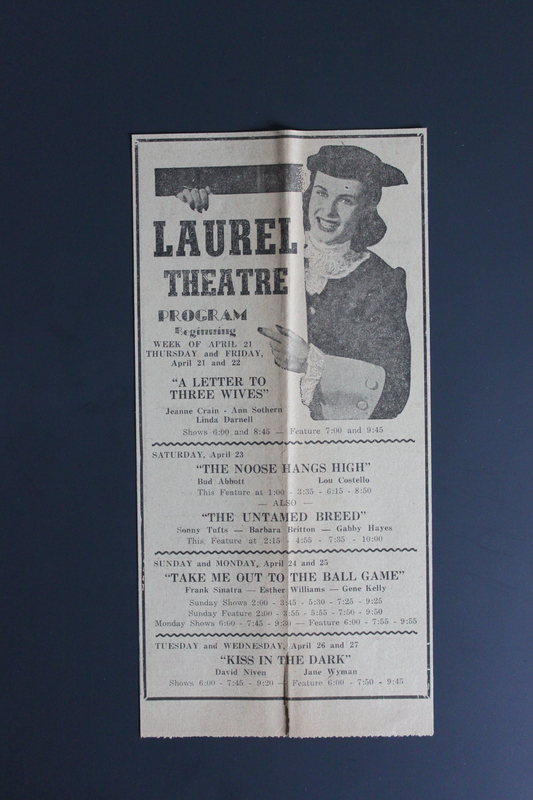 In fact, according to the Laurel, Maryland Centennial Souvenir Historical Booklet, the Laurel Theatre opened on October 16, 1929 under Sidney B. Lust, and was built by C. Ernest Nichols. The first film shown was Noah’s Ark. 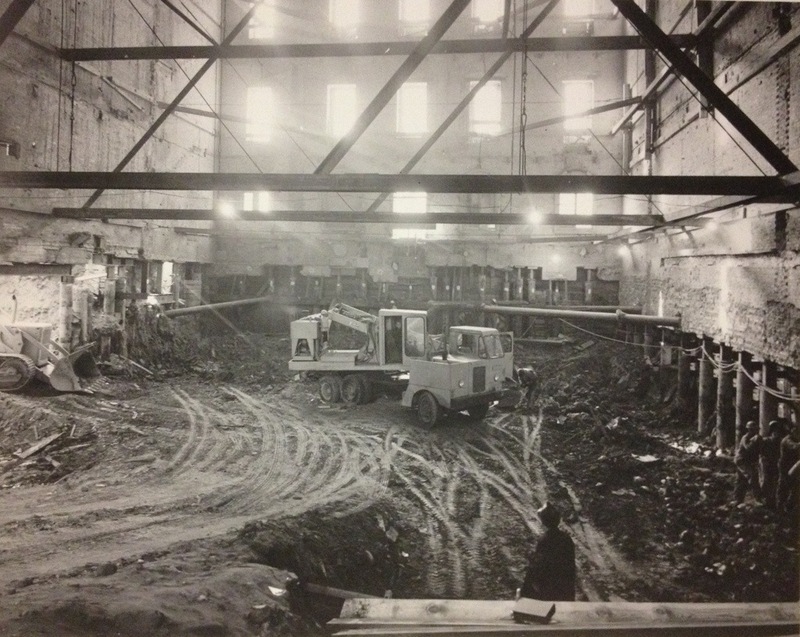 It briefly closed in 1948 to undergo a renovation, at which point it reopened with The Mating of Millie. 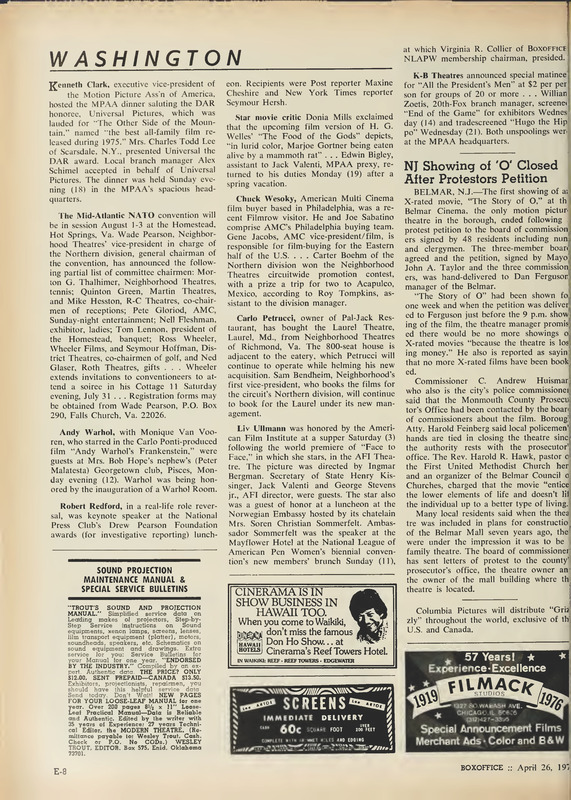 (Box Office magazine, September 4, 1948). 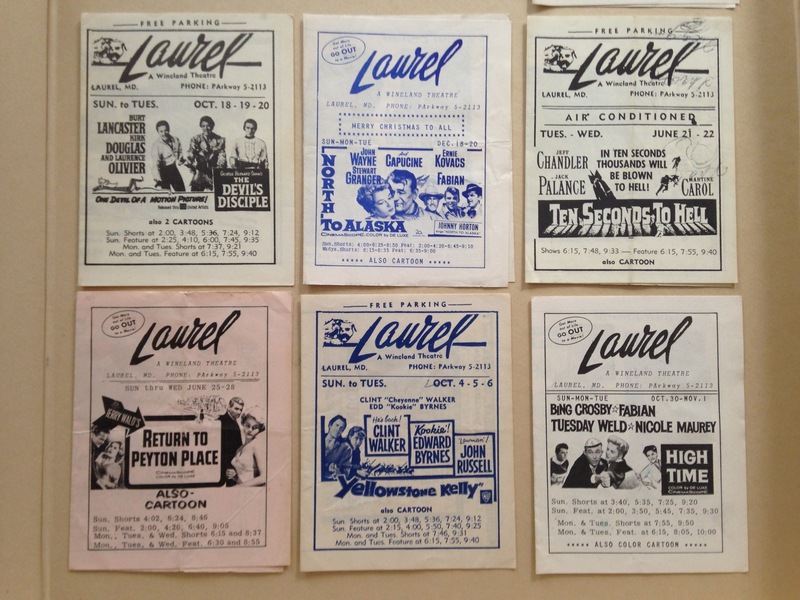 The theater was Laurel’s first and only movie house until the summer of 1966, when both Wineland’s Laurel Drive-In and Laurel Cinema opened at Laurel Shopping Center. 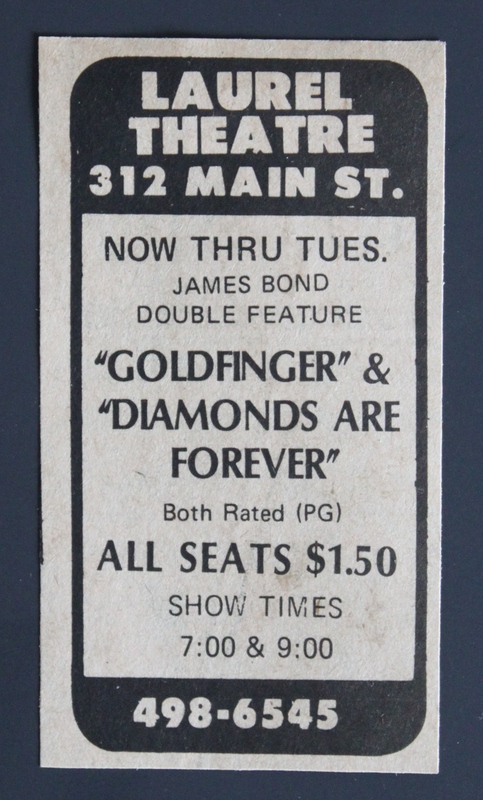 The newer venues (and a minor fire in 1975) took their toll; and in 1976, the iconic Main Street theater called it quits. 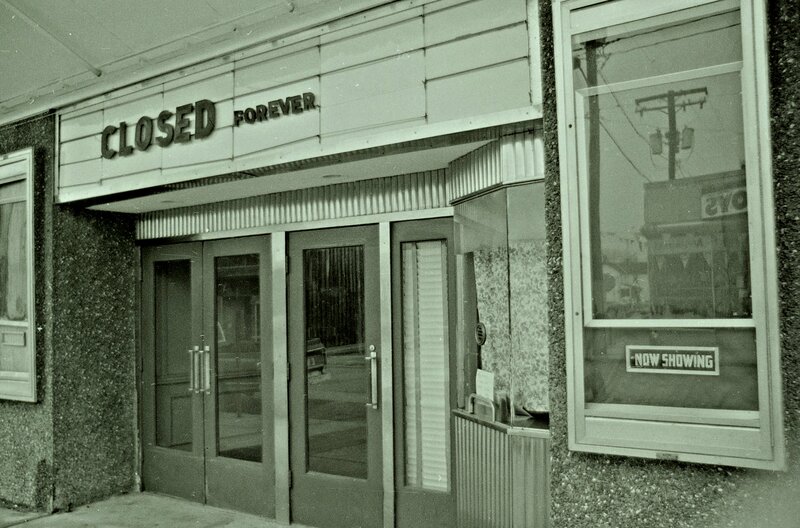 “Closed Forever” was a bold statement, and one that fortunately ended up not being entirely accurate. 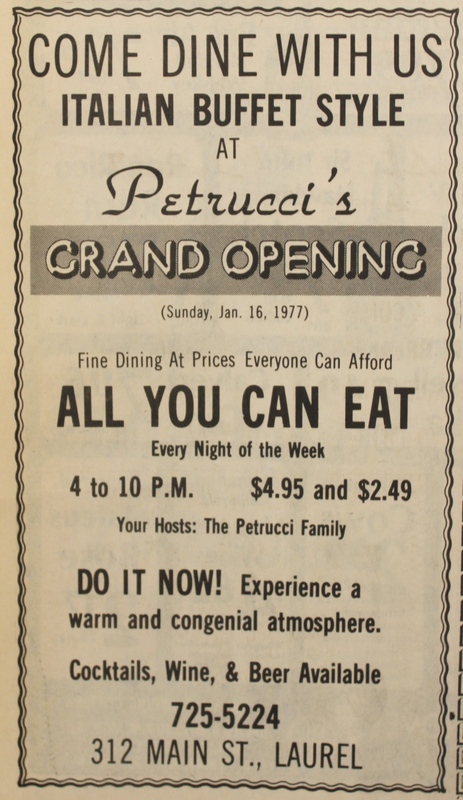 But the family had more ambitious plans for the building, and in the spring of 1977 came the arrival of Petrucci’s restaurant. 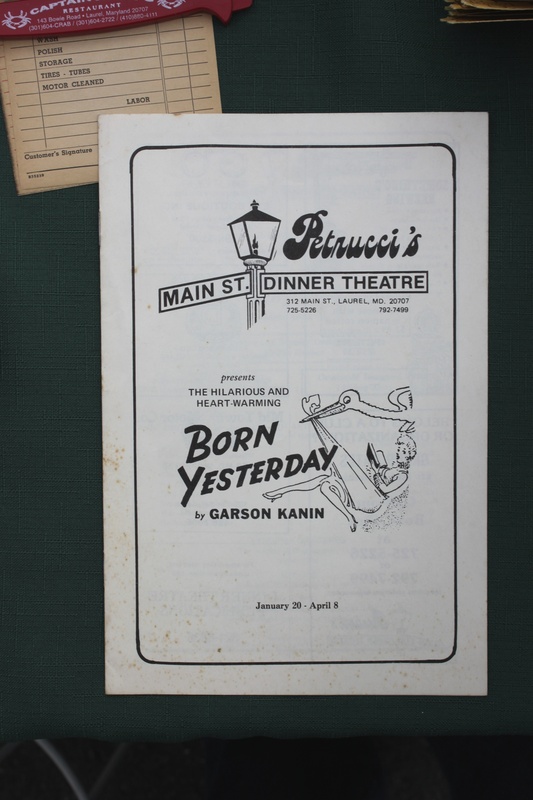 In less than a year, Petrucci’s was already experimenting with the idea of a full-fledged dinner theater—a concept never before tried in the area. 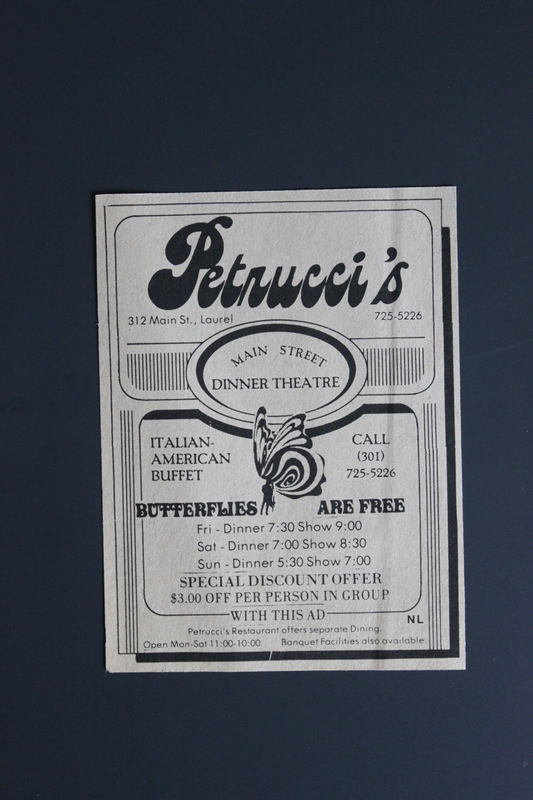 And by the early 1980s, Petrucci’s Dinner Theatre was one of the indisputable highlights of Main Street. “We realized that to stay open through the summer would have been an exercise in futility,” explains David Petrucci, the sole member of this family-owned operation who has not yet given up on the business. 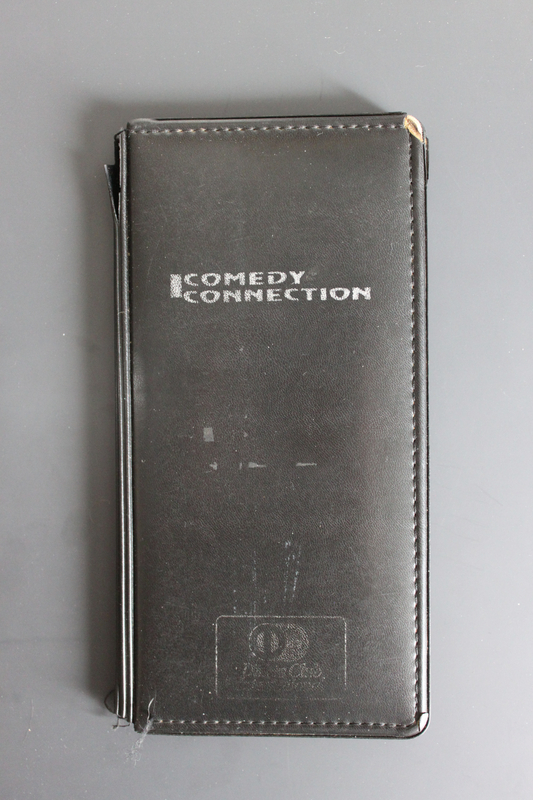 Thus began the series of hybrid comedy clubs, including Art’s, the Comedy Connection, the Laurel Cinema Cafe, and most recently, The Jokes on Us (aptly named, perhaps). There’s a stunning series of photos on Flickr that show the interior of the building in 2011. While the photographer has given it a different name, this is definitely the interior of 312 Main Street. (It may have been an urban exploration shoot—at any rate, the shots are eerily fantastic). So that brings us to today, where the old building stands—but likely for not much longer. 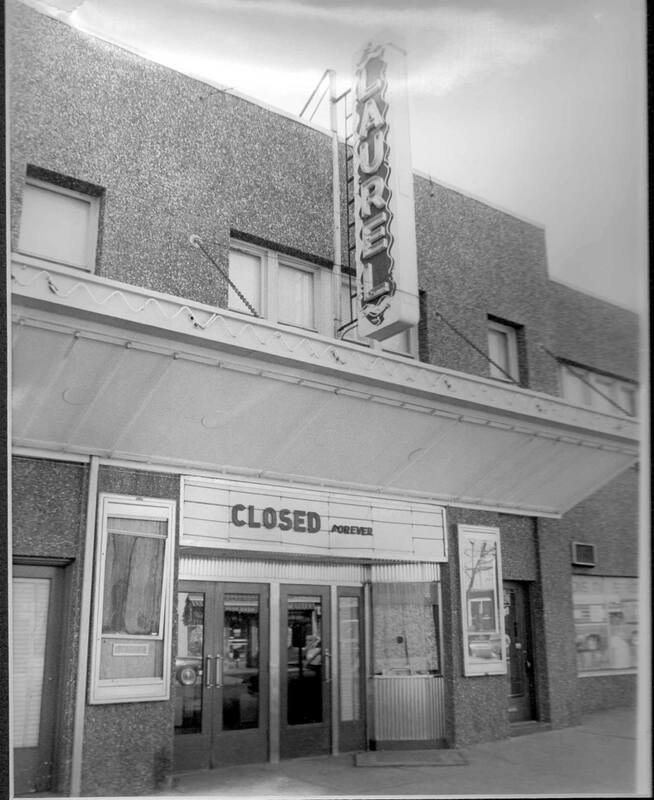 There’s already been some discussion on the Lost Laurel Facebook page, as well as other local social media sites about the future of the old theater. Complicating the matter is the fact that it sits right in the heart of the city’s own designated “Arts District”—which took another blow in 2012 with the closing of the Laurel Art Center (another building that remains vacant as of this writing). 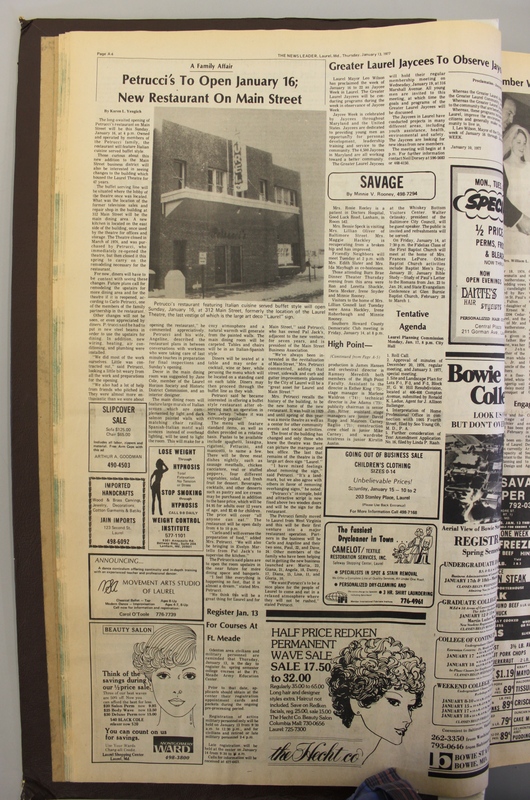 Many have called upon the Laurel Historical Society to intervene and protect the building, and discussions are underway about possible options other than the inevitable empty lot if it is indeed demolished. I’ve mentioned that it’s not at all uncommon in cases like this to salvage the façade of the building—just the recognizable front of it—restore it and incorporate that into a brand new, mixed-use building that pays homage to the past. 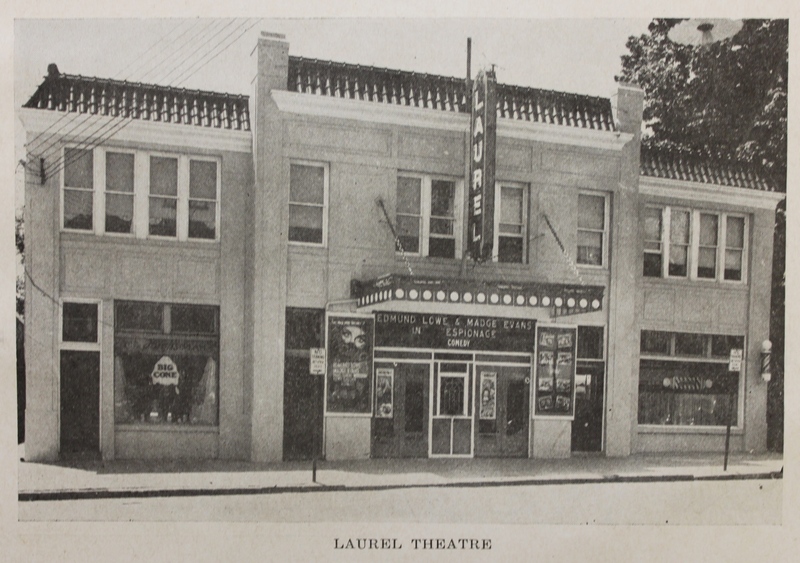 But truth be told, the façade of the old Laurel Theatre was never particularly remarkable, unfortunately, despite its great sentimental value. This would also place significant limits on whatever is constructed behind it. 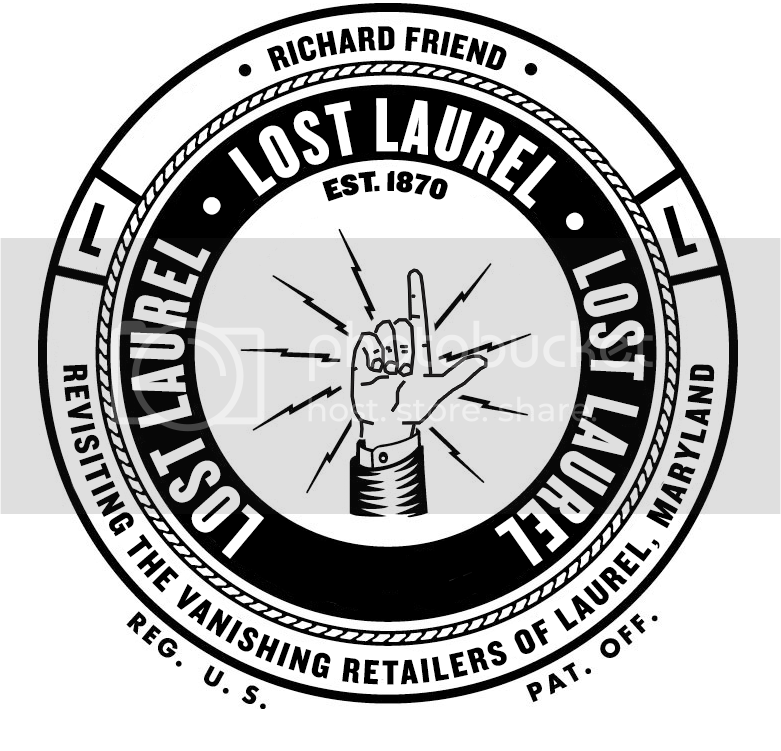 I see this as a chance for the city of Laurel to up their game and create something truly special; and if done properly, I think there’s actually a very good chance that people would help. 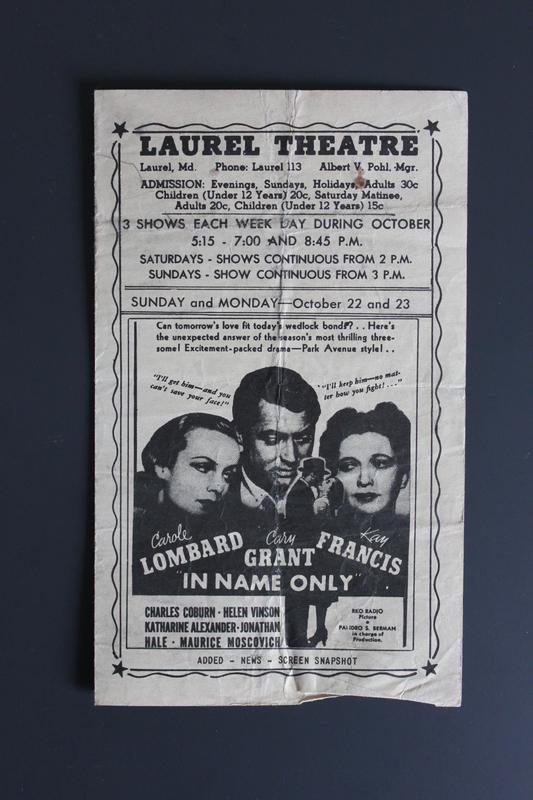 Lots of people—and not just from Laurel. 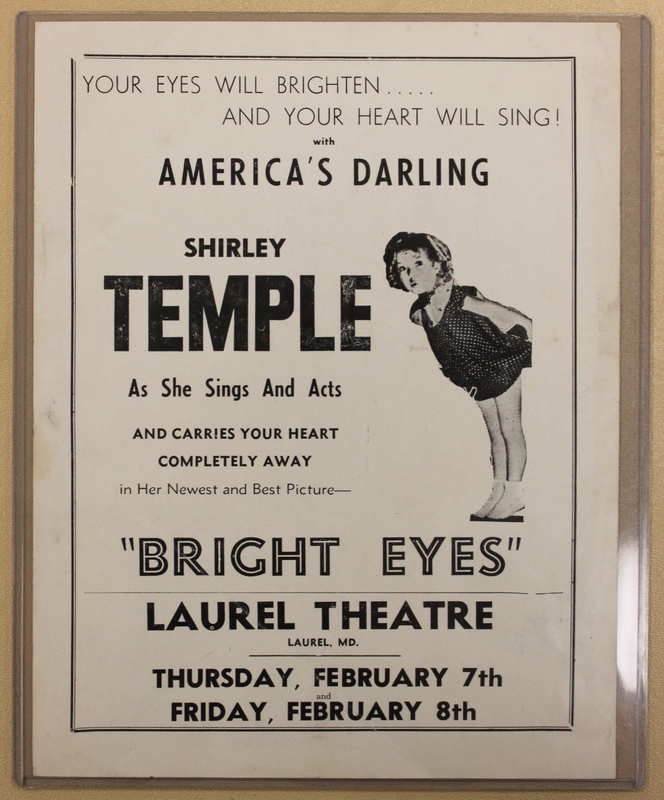 They could create an online fundraiser via Kickstarter and/or Indiegogo, where they present the opportunity to not only save the town’s original theater, but to create a genuine, functional showpiece in the heart of the Arts District: a completely rebuilt Laurel Theatre in the 1929 style, but with modern amenities—which could also serve as a type of cultural center for any number of events. Frankly, I can’t think of a more effective way to revitalize Main Street as a whole. Since it wouldn’t be a privately owned venture, something like this could also likely qualify for a grant from the National Endowment for the Arts, or similar organizations. Clearly, the city doesn’t have $2 million to spend on remodeling the theater—even if they wanted to. The $250,000 purchase was an investment toward something—anything–other than the decaying structure that’s been sitting dormant all this time. But if they at least explored the possibility that a national/international fundraiser (plus grants) could actually yield a significant amount of money to do something really special, that’s worth talking about. Just for comparison’s sake, let’s look at a more famous (or should I say, infamous) theater: Ford’s Theatre in Washington, DC. When you visit Ford’s Theatre today, you probably assume it’s maintained its original appearance all these years, right? Not at all. With the exception of its outside walls, the entire theater is a complete reconstruction. 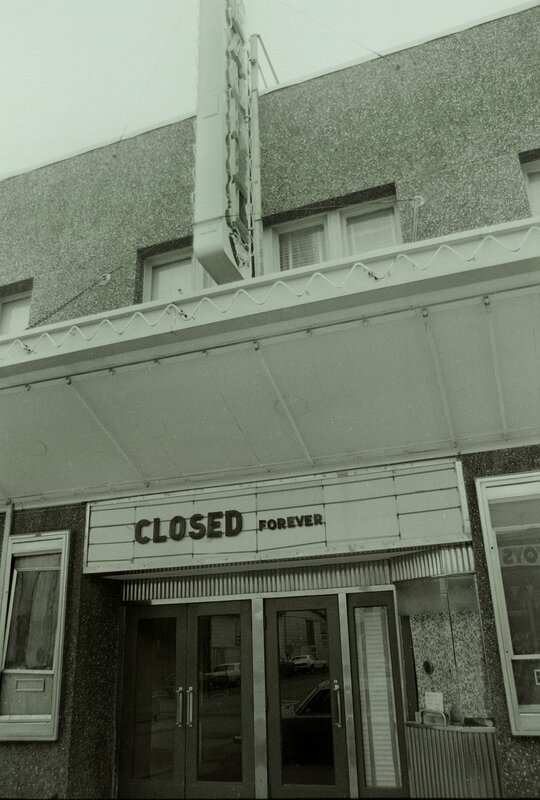 After the 1865 assassination of President Lincoln, the building understandably closed as a functioning theater. The government purchased it from John T. Ford, and promptly converted it into a three-story office building for the War Department, primarily. In 1893, the unthinkable happened: another tragedy. Load-bearing beams in the basement gave way under the excess weight, causing sections of all three floors above to completely collapse. In what must have been a horrific moment, 22 government employees were killed and at least another 65 were seriously injured. 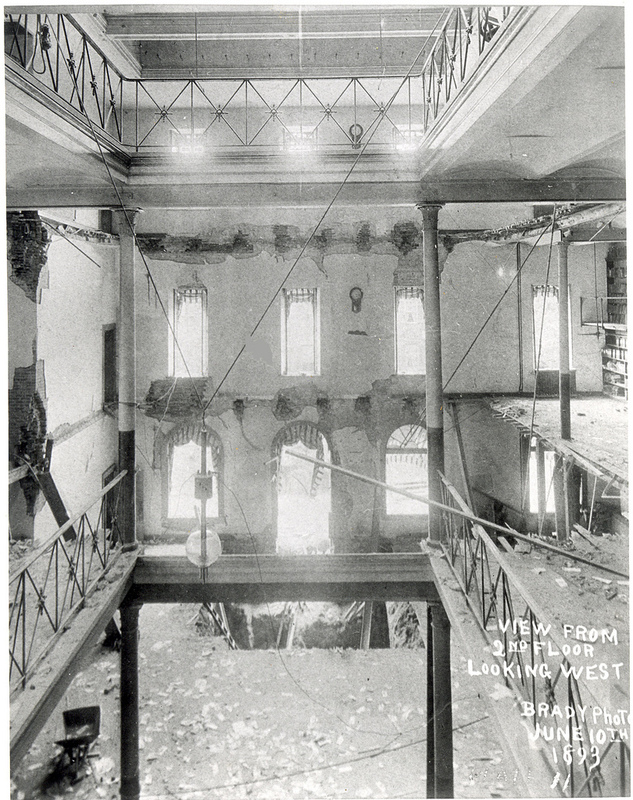 The building languished until the 1930s, when it was briefly used as a warehouse for the Department of the Interior before being turned over to the National Park Service as “The Lincoln Museum”—where only the first floor was open to the public. Then, in the 1950s, Congress approved a bill that would fund a complete restoration of Ford’s Theatre to its 1865 appearance. 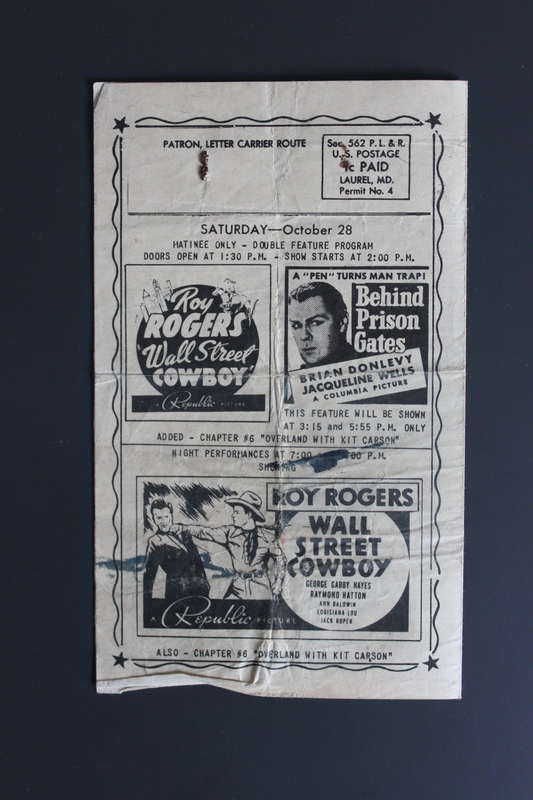 And in 1968, the famous theater opened once again as a historic landmark. These dramatic photos (found on the blog, BoothieBarn) show just how gutted it actually was. 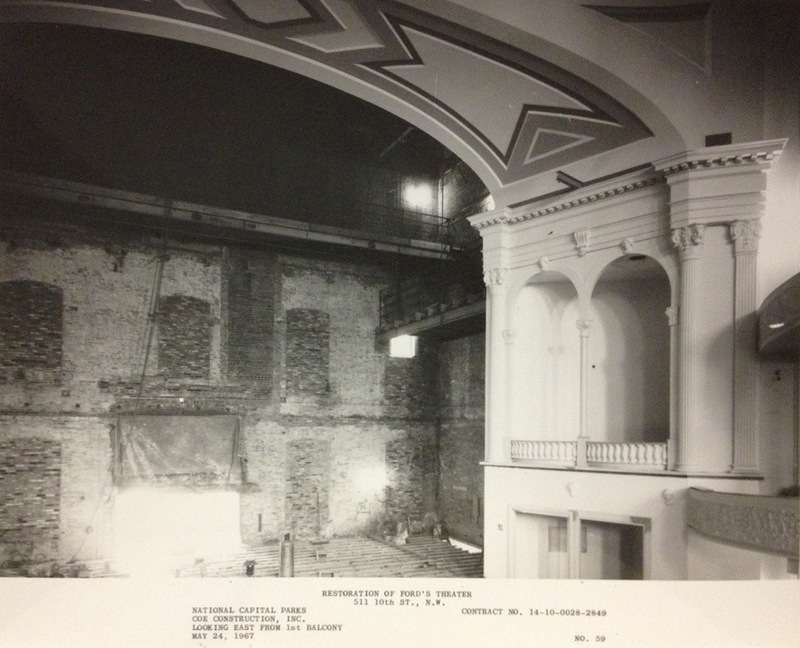 Granted, I’m not suggesting that the old Laurel Theatre is on par with a national treasure; but I wanted to show that it’s entirely possible to gut the interior of a historic building—or level it completely, if need be—and rebuild it to its original specifications. 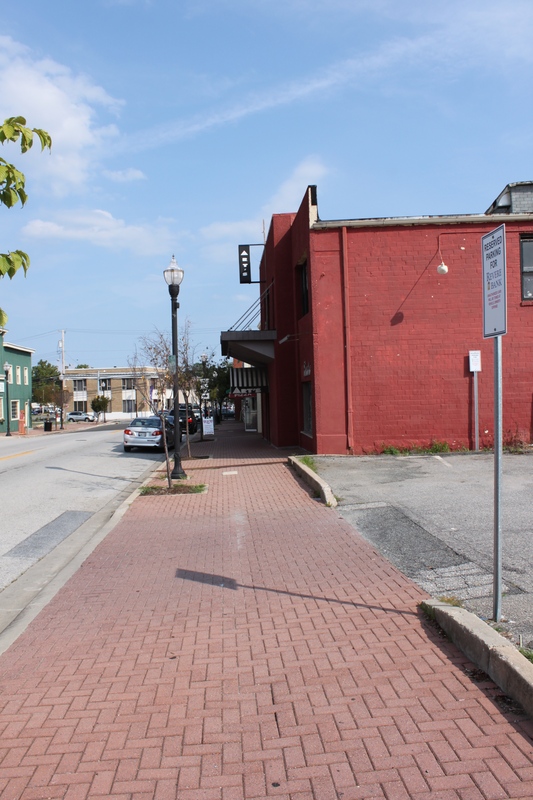 That’s something that should indeed be considered by the city of Laurel before deciding to sell the property—particularly if they can receive funds to do so. On the much smaller end of the spectrum, take a look at some of the “save our theater” campaigns that actually are on Kickstarter at the moment. I recently pitched in for one near me in Fairfax, VA. The University Mall Theatres is in dire need of new seats, and has raised over $111,000 in a matter of days with their grassroots campaign. That’s a private business, too—the city of Laurel stands to qualify for considerably more if it goes the non-profit route. 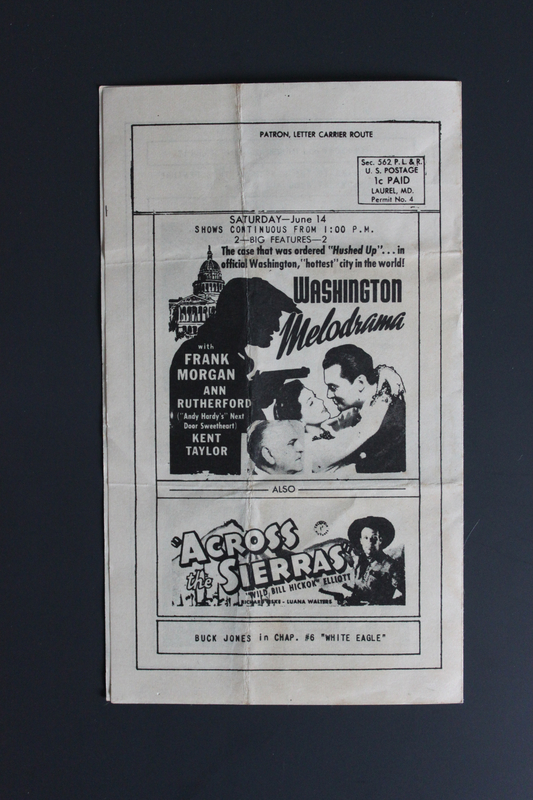 And as far as non-profit models go, there’s none better than Silver Spring’s AFI Silver Theatre. It, too, was dangerously close to meeting the wrecking ball when both citizens and politicians stepped in and capitalized on the opportunity to create something remarkable. 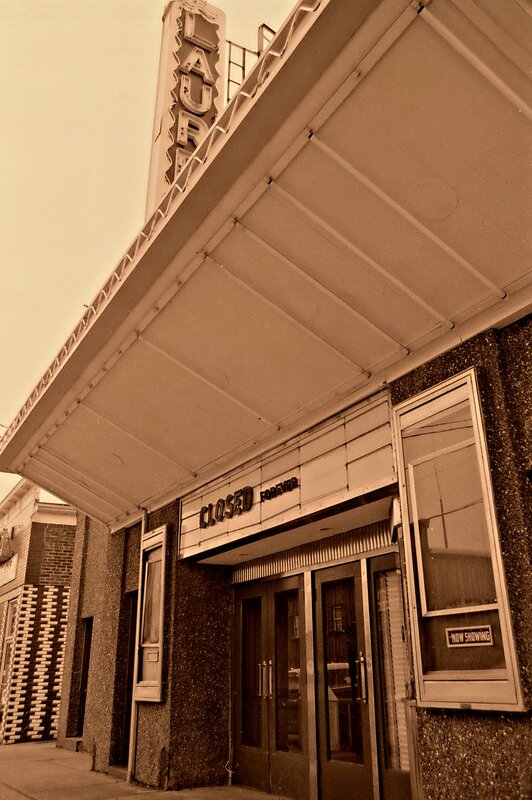 The non-profit theater and cultural center now hosts films, film festivals, musical events, and much more. It’s also available for private rentals, further increasing its revenue. 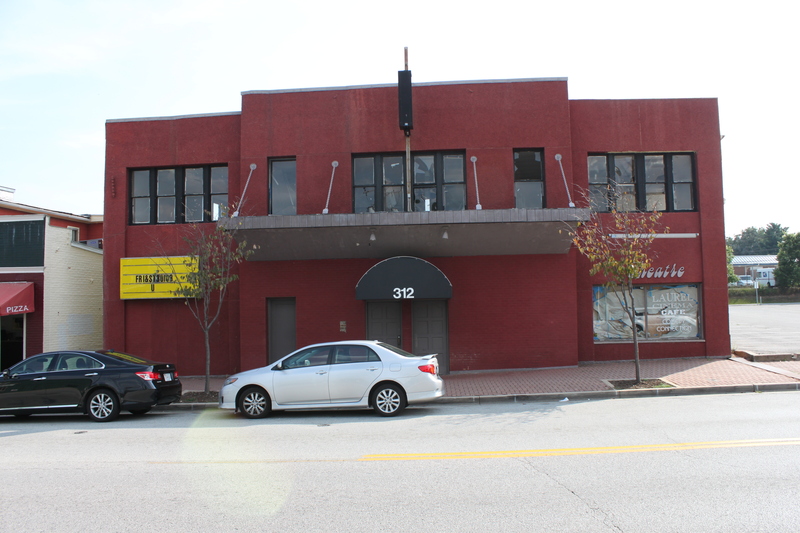 So, the city of Laurel now owns the building at 312 Main Street, and has a very big decision to make in the coming weeks. Much like the doomed Laurel Centre Mall, anything they do with it will likely be an improvement over the past decade. But I hope the city planners will at least take a very careful look at this opportunity before selling the property outright. The elusive key to revitalizing Main Street and creating a legitimate Arts District centerpiece may actually be sitting in their hands as we speak. Once again, Richard, you’ve shined a light into corners of my long shuttered memory. Fantastic story and images. Thank you for everything you do for Laurel. Even though I don’t live there anymore, I feel like I’m home again, again and again. 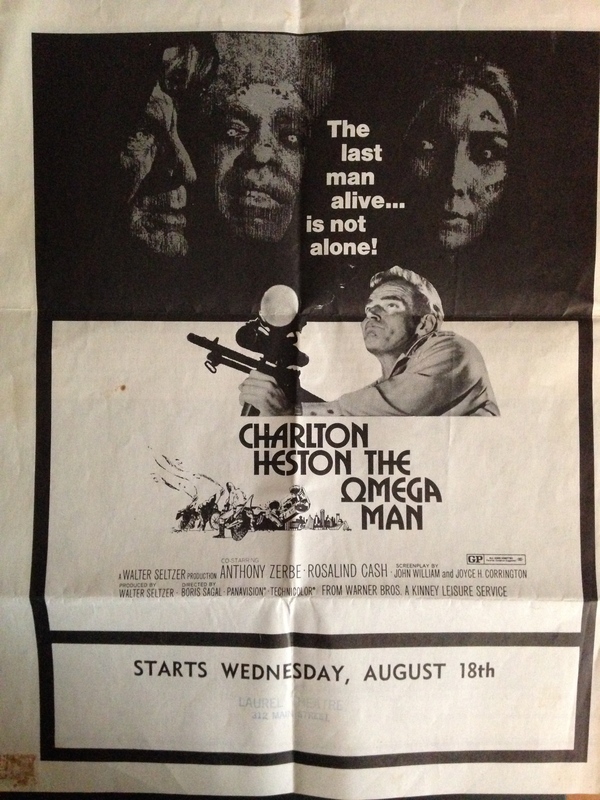 PS – if you happened to snag any high res images of those 1-sheets from the cinema and are able to make reproductions please let me know. I’d be happy to purchase and display in my home. LETS GET STARTED ON A CAMPAIGN !!! Like Mitzi, many memories have been stirred with this blog. Mitzi and I are graduates of LHS, class of 1965. 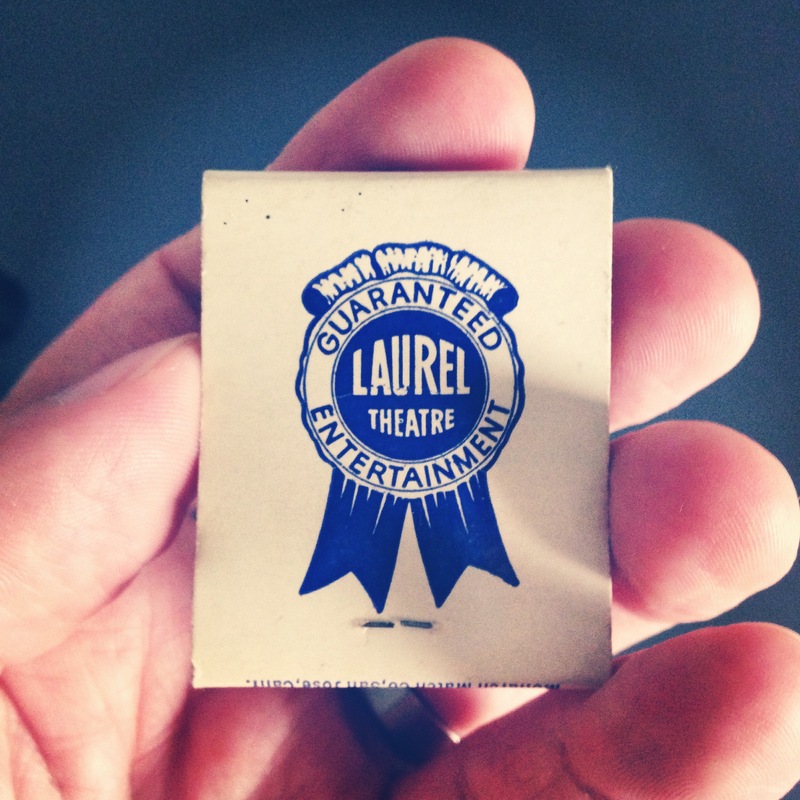 Many hours of my youth were spent in the Laurel Theater. My first date in the 9th grade was there. Dropped off and picked up by parents, of course. I also remember smoking allowed in the balcony. It is really sad that this historical building has gotten this bad. 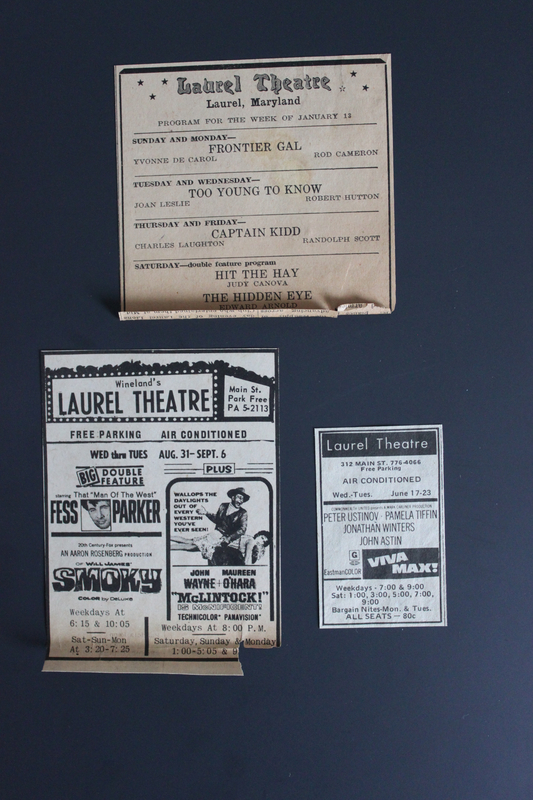 I left Laurel in 1969 and never visited its predecessors. 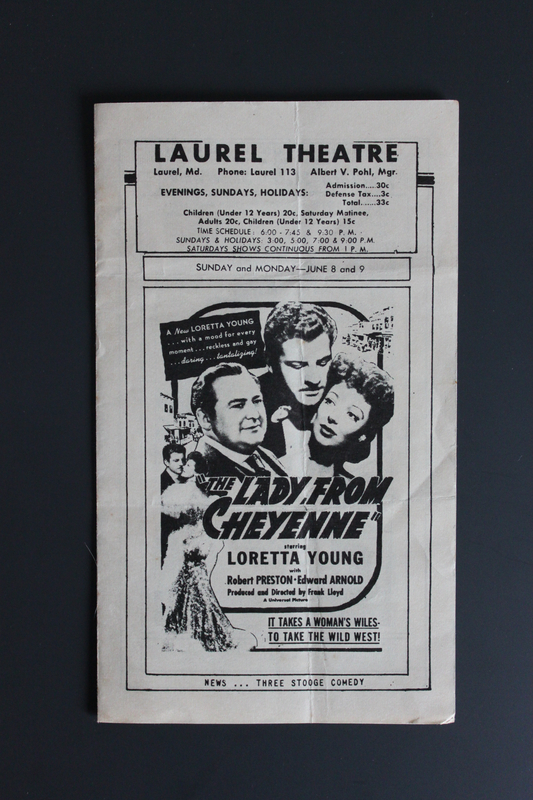 I live in No VA and see the success of another old theater, The State Theater, in the City of Falls Church, a little town like Laurel that has not let growth change it’s indemnity. 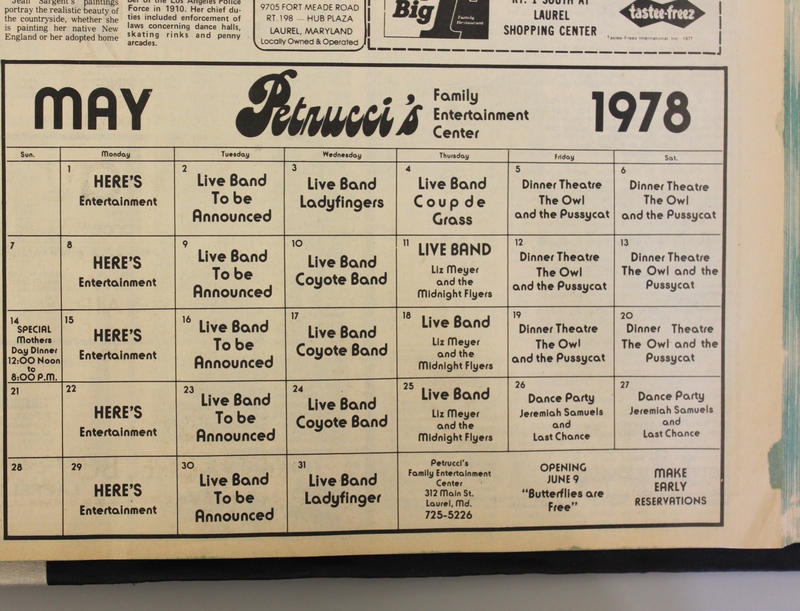 The theater is a center for entertainment and Rock Bands with a large following. 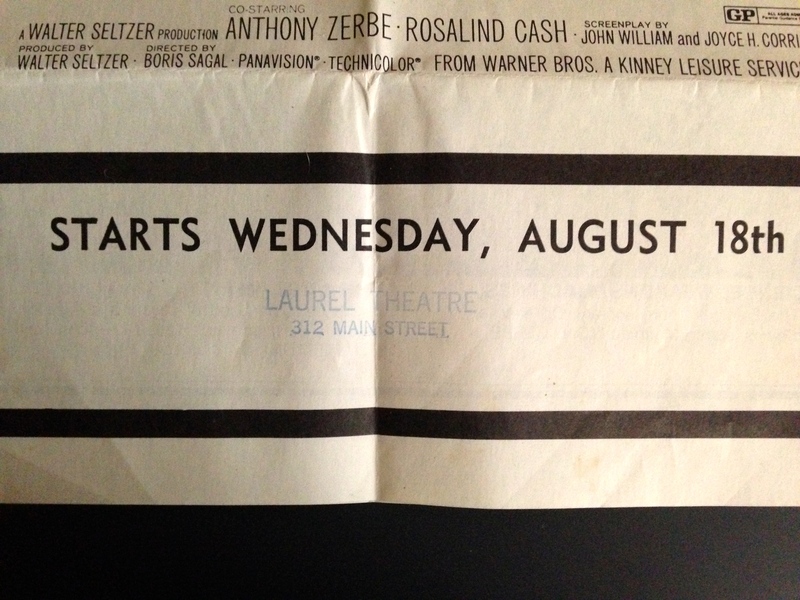 I wish the old Laurel Theater could have had the same long life. It is so sad to see the photos of what it looks like today. 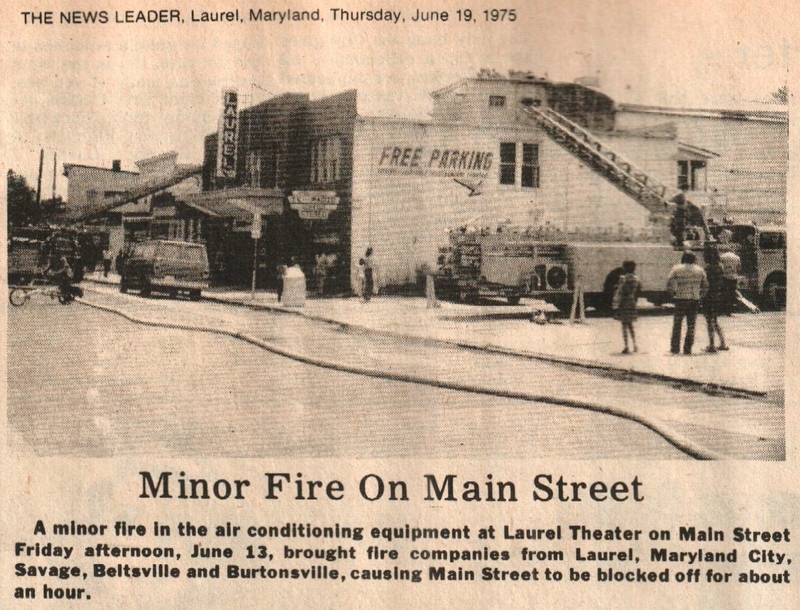 It would be nice to save this building if possible, but it wasn’t the first movie theater in Laurel. 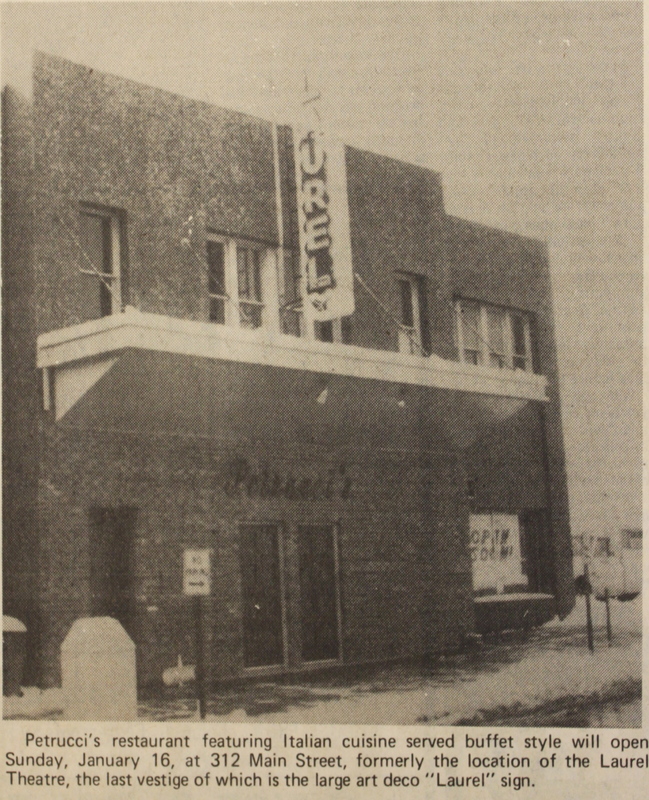 The Red Wing Theater was operating on Washington Ave. as early as 1914. 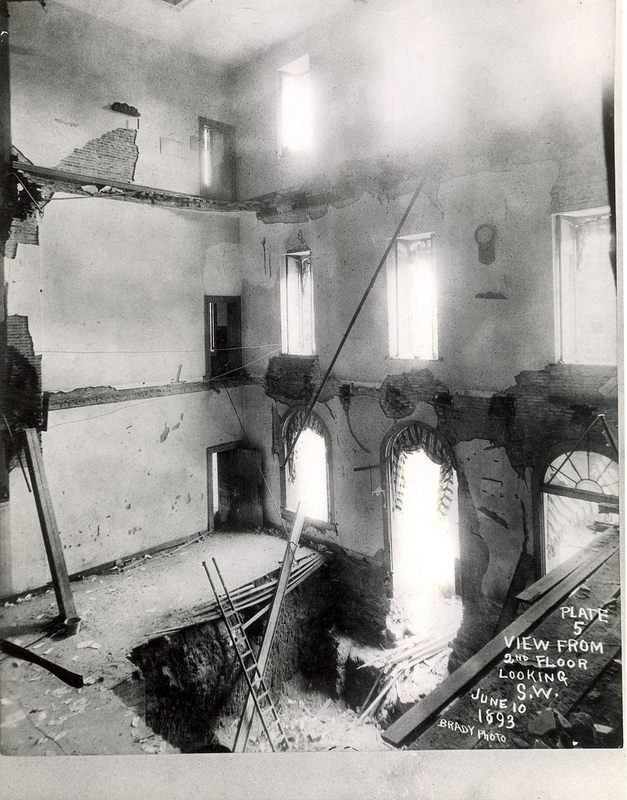 It burned down in December 1928. “It was the height of the roaring twenties – the decade of the Great Gatsby, Flappers, and bathtub gin – and life seemed more full of hope, fun and possibility than ever. In just one year, the stock market would crash spiraling the country into a great financial depression the likes of which had never been seen, but in the crisp autumn days of 1928, the perpetual party was still going strong. 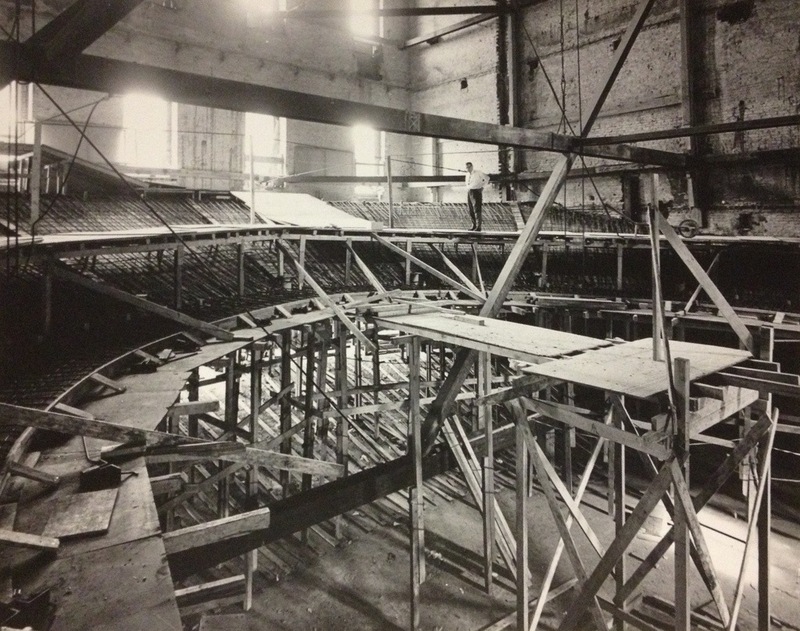 This was the stage on which the Capitol Theatre, one of the grandest movie houses of its day, was built. 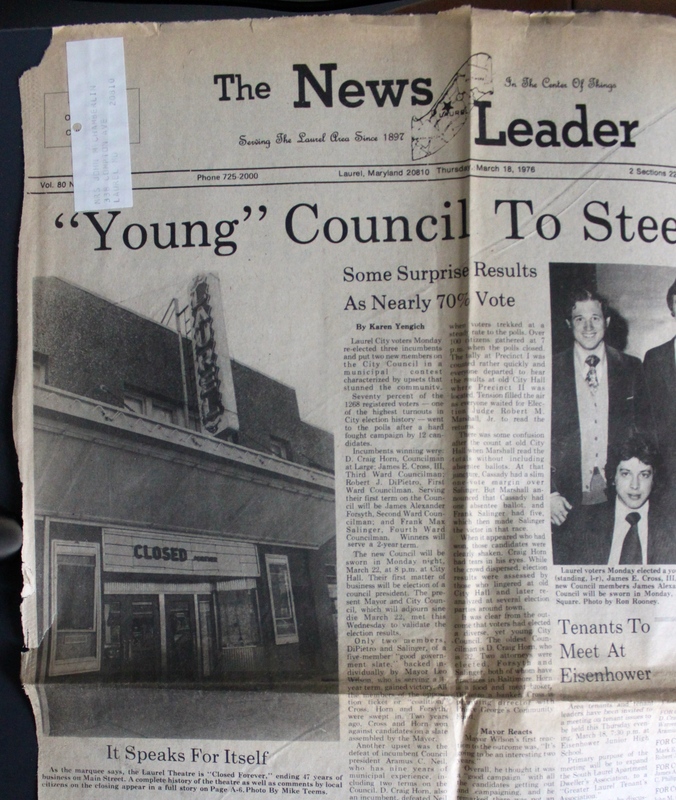 The Capitol tried to endure in the entertainment industry through various owners, but time was taking its toll and what was once one of the finest theaters in the country became just another blowsy downtown facility in decay. 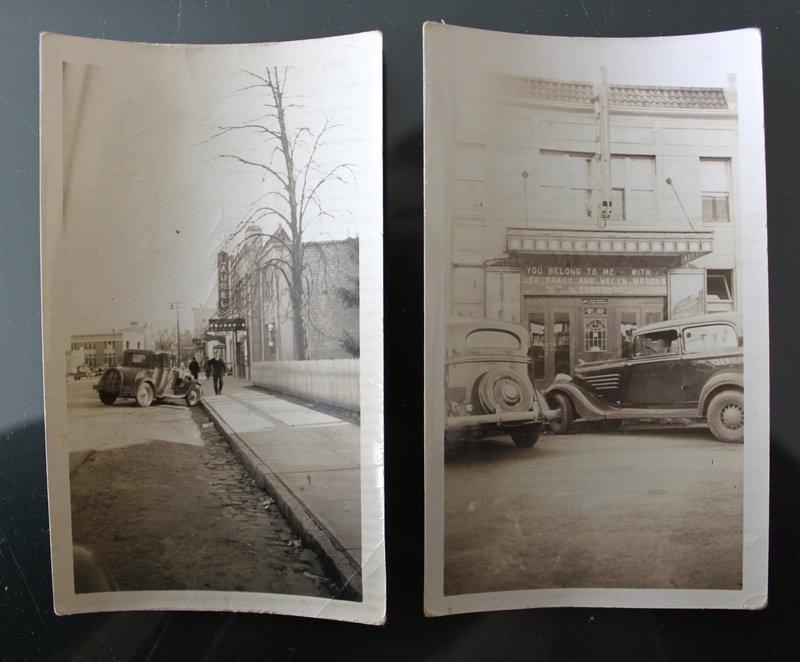 Six decades after the Capitol’s opening, just as all life seemed to be going out of Williamsport’s once vibrant downtown, new hope was brought to the grand old theater. In a flurry of excitement, the Pennsylvania College of Technology, Williamsport Lycoming Foundation (now named the First Community Foundation Partnership of Pennsylvania) and the City of Williamsport announced that the Pennsylvania College of Technology would be acquiring the Capitol and that, together, they would convert it into a modern performing arts center. 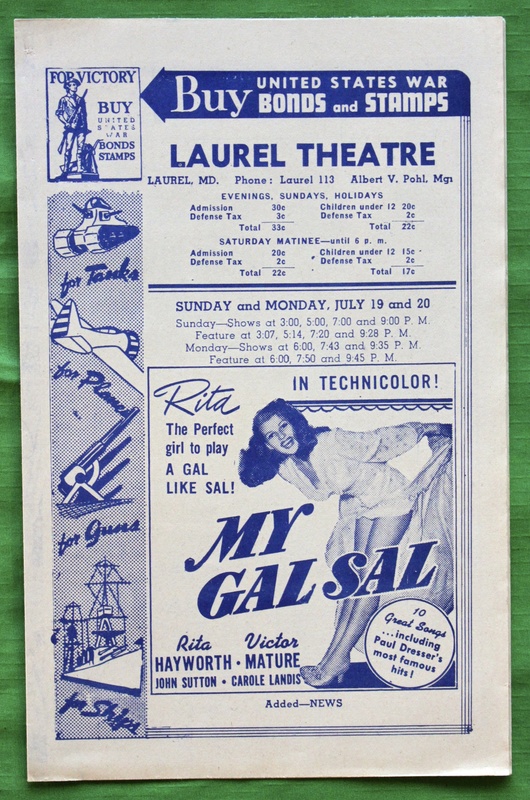 The real soul of the plan lay in the intention to refurbish and preserve the character of the theater and its heady synthesis of ornate Spanish, English, and Oriental décor.